Provide comfort for the family of Steven Wolf with a meaningful gesture of sympathy. Wolf, Steven F, 68, April 29,1950-December 1, 2018, survived by his loving children Matthew (Paige) Wolf, Christopher (Heidi) Wolf, and Niki (Jason) DiNovo, his 7 beloved grandchildren Audrey, Mia, Carson, Hunter, Zoe, Payton and Adi, also survived by his siblings Gary (Julie) Wolf, Wendy (Dave) Findley, Aimee (Mike) Reilly, & Greg, special Aunt Laverne Roberto, many nieces, nephews, cousins & friends. Former spouse of Peggy (Macke) Cappel. Preceded in death by his parents Fred & Dorothy (Reverman) Wolf. He ran a successful kitchen cabinet business, Suburban Kitchens, for many years until his retirement where he enjoyed going to his grandchildren’s numerous sporting & other events. His grandchildren were his life for which he would do anything for and often did. For that they loved him. 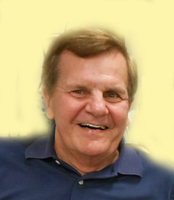 He will be deeply missed on the soccer or lacrosse sideline, concert audience, Target or Kroger runs and as his condo association’s president & hound dog. Family will receive friends on Saturday, December 8, from 10am until time of Blessing services at 12 Noon at the Neidhard-Minges Funeral Home, 3155 Harrison Ave. (Westwood). 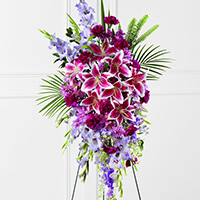 In lieu of flowers, memorials may be made to Elder High School, 3900 Vincent Ave. Cincinnati, Ohio 45205. Thank for the gift we were blessed with - Matt. An amazing son-in-law, husband, father, and beautiful grandchildren. You will be missed. May you now have the gift of eternal life. Sheri & Bob Sauer purchased the The FTD Tender Touch Standing Spray for the family of Steven Wolf. Wishing you peace to bring you comfort, courage to face the days ahead and loving memories to forever hold in your heart. 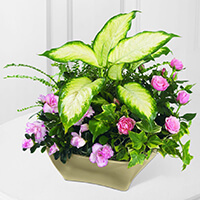 Your Human Nature Family purchased the The FTD Garden of Grace Planter for the family of Steven Wolf.